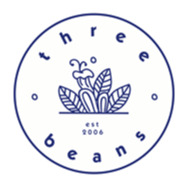 Three Beans Cafe joined our Mission to help provide access to “Clean Water for All by 2030”. This Mission was initiated by the United Nations. A big thank you to Three Beans Cafe’s team and customers for joining this extremely important mission on 26 April 2018. We're passionate about creating great tasting, nourishing food with love. With locations across Sydney from the beach to the bush, we prides ourselves on Three Beans delivering great tasting food that has been prepared with love and attention in our very own kitchen and cafes. All our food is additive and preservative free and has been sourced from suppliers that adopt strict animal welfare practices. Three Beans source organic foods and products that make a difference not only to taste but the environment. We pride ourselves on delivering great tasting food that has been prepared with love and attention in our very own kitchen and cafes. All our food is additive and preservative free and has been sourced from suppliers that adopt strict animal welfare practices. Three Beans source organic foods and products that make a difference not only to taste but the environment. We have adopted sustainable practices throughout each cafe from the packaging to the recycled timbers in tables and cafe fit-outs. We like to think that we spend time worrying about the quality and ethics of your food so that you don't have to.